If you are considering any type of dental treatment, go with the best technology around. Dr. Elena Puig at Dynamic Smile Design is a trained professional using the latest technology to offer groundbreaking dental benefits. Judging by its name, “laser dentistry” sounds like an exercise practiced by bad guys from cheesy sci-fi movies. However, the truth could not be more to the contrary. With laser dentistry, Dr. Puig has left behind many of the crude metal tools used in old dental techniques, and replaced them with the clean, precise and painless application of dental lasers. Less time spent in the dentist’s office. 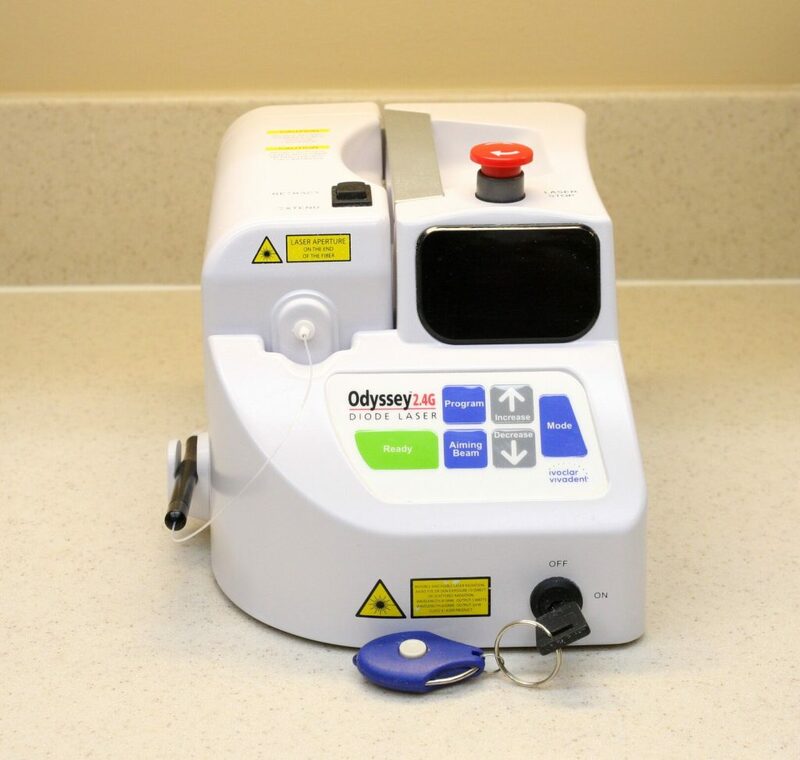 Dental lasers can often complete dental procedures in fewer visits, and with fewer steps. This means that you go to the dentist’s often less frequently, and you are quickly out of her chair and on with your busy day. More comfort. While dramatic numbness, awkward swelling and painful soreness often accompany other dental procedures, laser dentistry patients report little or no pain during or after their procedures. Better results. Dental lasers offer benefits that were previously impossible. For often, they are used to detect cavities at much earlier stages than other technologies. This means you can treat cavities long before they start keeping you up at night and ruining your day. Additionally, dental lasers directly treat infections that used to be difficult to address, such as fever blister removal. No blood. The dental laser has replaced the scalpel in many procedures. So instead of the cutting, bleeding, stitching and multiple visits that some procedures used to require, they can now be non-invasively treated with the dental laser. Rapid healing. Procedures that require cutting and stitching typically take weeks to heal. Now, with dental lasers, these procedures heal in days. When removing canker sores, patients notice immediate improvement. Minimal risk of infection. Since there is no cutting and much less bleeding, there is a smaller risk of bacteria and infection. If you are interested in laser dentistry, contact us at Dynamic Smile Design and schedule a consultation with Dr. Puig.